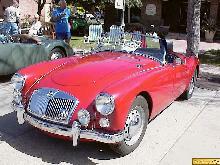 Its not very often that a closed coupe version of a sportscar actually looks as pleasing as its more glamorous open counterpart, however with the 1956 MGA Coupe this is definitely the case. 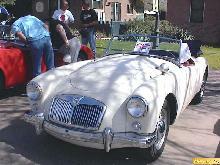 The MGA was blessed with good looks and a well proportioned body from day one, the fixed head Coupe continued this theme with a roof design that mimicked the Roadsters raised soft-top profile. 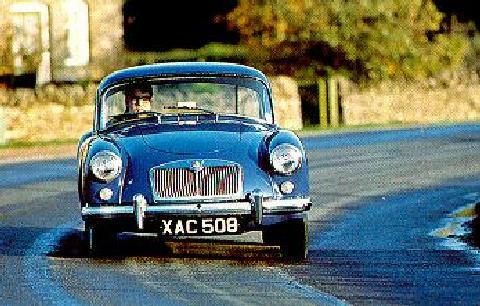 The MGA Coupe became a standard model in the range from 1956 and was available throughout the models lifetime, in 1500, 1600, Mk II and Twin-Cam forms. 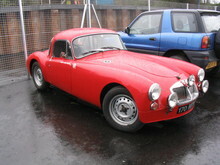 Standard features included wind-up door windows, external door handles, locks and extra brightwork. 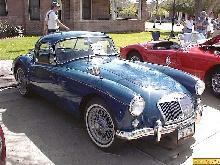 Mechanically the closed cars were identical to their open sister MGA models. 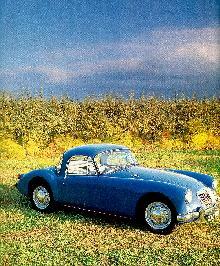 Buyers Guide MG A featured in Practical Classics June 2001 – available from our sister site Bookbase. Click here to view. 7' 10" 3' 11" 4' 0" 13' 0" 0' 0" 0 (18) 0' 0"